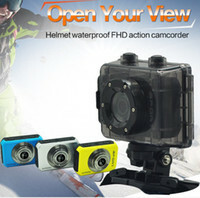 The top things to do in Thailand: Tourist Atrractions is brought to you by LatinAbroad.com. 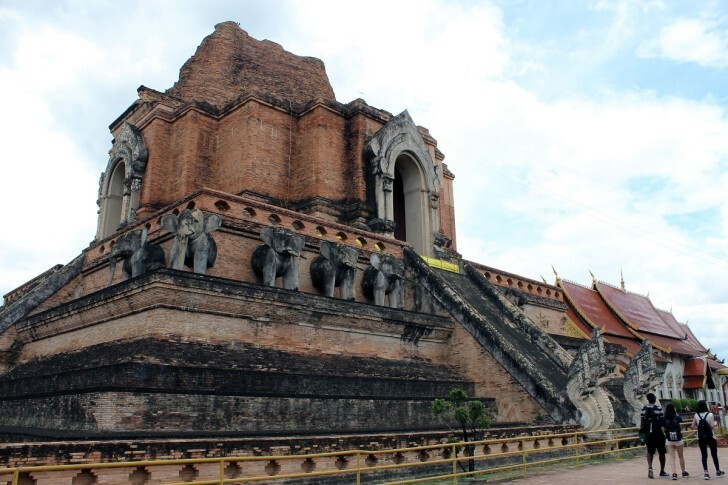 Mueang Thai, as locals call the country, is a fascinating melting pot of ancient kingdoms. 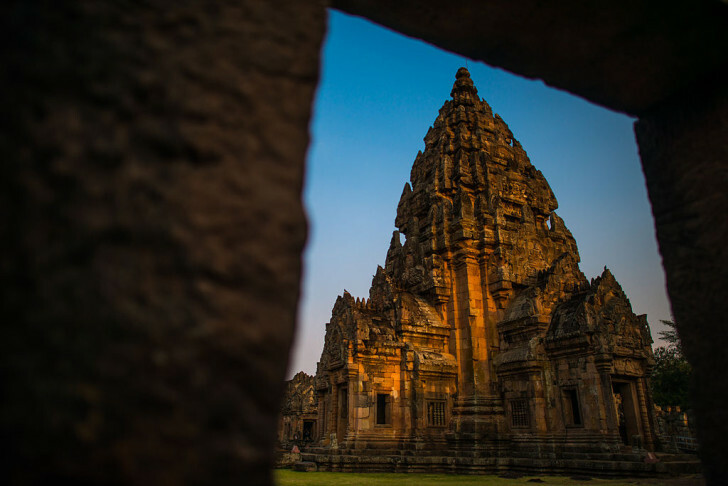 For over five centuries, the Khmer Empire ruled its lands — until expelled in the 13th century. Then, the Thai Kingdom was successfully unified and established by King Sri Indraditya of the Kingdom of Sukhothai (1238). Ever since, the country has been divided into four main regions — each boasting unique customs, traditions, and attractions. The diversity brings an amazing array of things to do in Thailand. Below she is going to discuss the top tourist attractions in Thailand. There’s no better place to catch a glimpse of Thailand’s history and culture than around the Central Plains. In this region is where its capital, Bangkok, is located. I sum up Bangkok with three terms: outstanding traditional food, ancient temples, and insane nightlife. By time of writing, I don’t recommend visiting Wat Arun. Its intricate architectural details are currently overshadowed by an extensive restoration project. 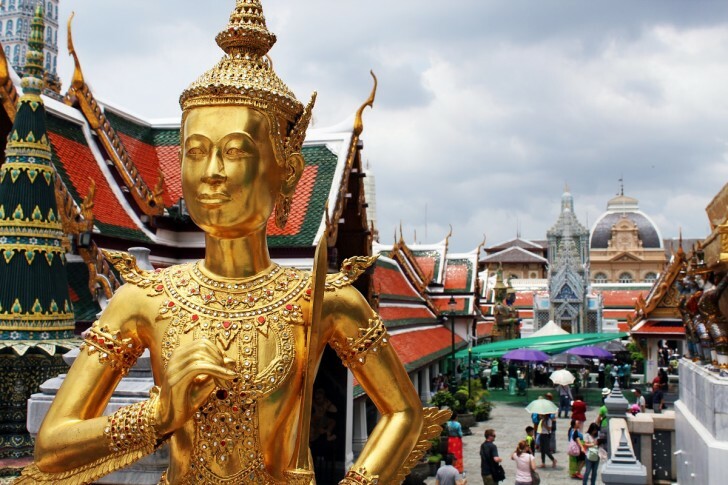 Spend your time at other worthy Bangkok attractions instead! The former capital of the Lanna Kingdom has morphed into a very cheap, modern college town. 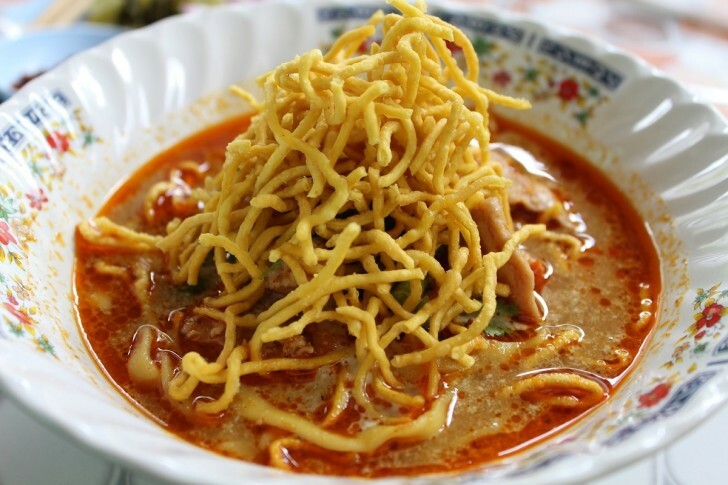 Chiang Mai’s rich history, amazing street food scene, and relatively low cost of living has made it a popular base for Western expats in Asia. 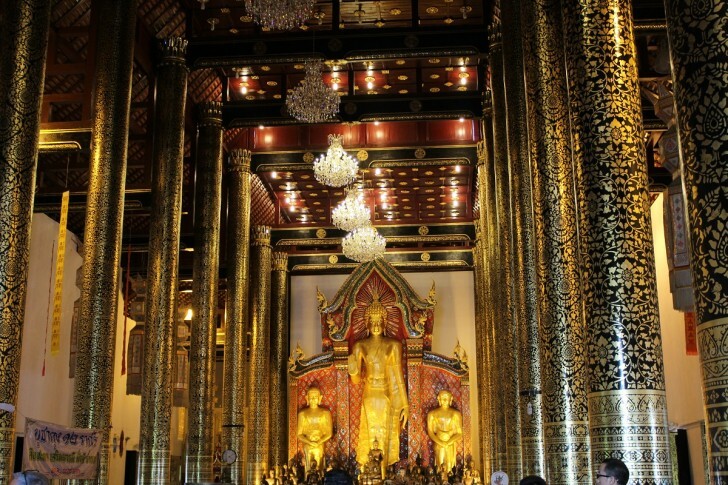 Sprinkled with over 300 Buddhist temples, I thought, which to choose?! The most unique thing to do in Chiang Mai, though? Join a monk chat! They are cultural exchanges, arranged by local Buddhist universities, in order to improve the English proficiency of their apprentices. Monk chats are a great way to get to know local customs and traditions firsthand. The MCU Chiang Mai Campus holds monk chats every week at Wat Suan Dok Monday through Friday, from 5 to 7 PM. While Chaing Mai is one of the top tourist attractions in Thailand it is also home to many expats. If your looking for a great base in Asia this is definitely a possibility. Weekly meditation retreats are also offered. They start every Tuesday at 1 PM and conclude Wednesday by 3 PM. Not only did I go temple hopping, but I also got to taste the peculiarities of Northern Thai cuisine by going on foodie crawls. One of the most unique things to do in North Thailand is to head to the Mae Sa Valley. There, you can capture the world-renowned long-neck hill tribes and wild elephants with your lens by booking a one-day photography workshop with Kevin Landwer-Johan. Having married a local woman, he has an intimate relationship with the culture — making his interactive photography tours really interesting. He got me into night photography in Chiang Mai and I absolutely love his style. Thailand’s northernmost bustling city lays by the infamous Golden Triangle: Asia’s hotspot for opium production. Or you could simply see it as the place from which you can visit Myanmar, Laos, and Thailand in one day! Beyond this tripoint, there’s not much to do in the area. 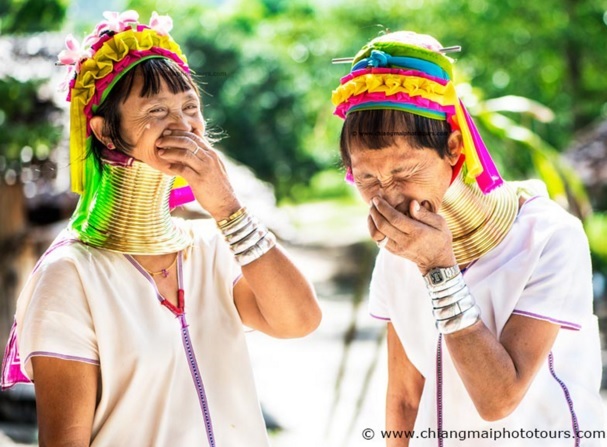 Also known as Isaan, Northeast Thailand is a fascinating melting pot of Laotian, Cambodian, and Thai cultures. Its relative isolation, though, make it one of the most authentic regions a tourist can visit. 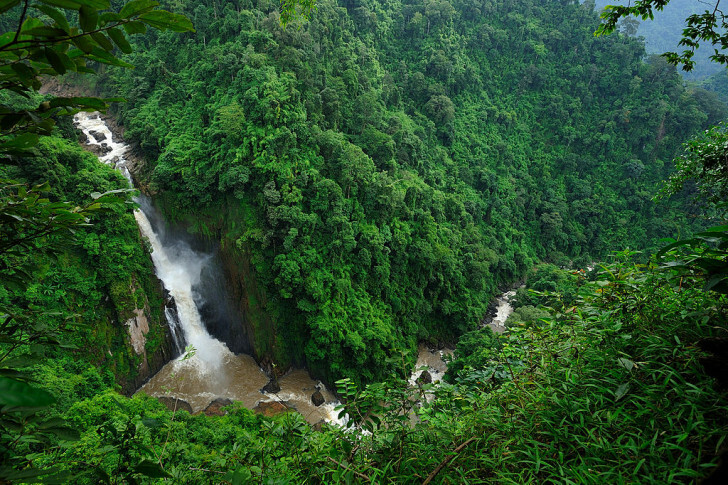 While Isaan is relatively off-the-beaten-path, this regions happens to be the home of Thailand’s most popular national park, Khao Yai. A whooping 70% of its 2168 km² are lush forest! More impressively though, the park boasts about 44 waterfalls, unique wildlife observation towers, rushing rapids, and outstanding viewpoints and hiking trails. This makes Khao Yai a vast UNESCO World Heritage Site — perfect for nature lovers who wish to be enveloped by the thick jungle canopy. The ancient Khmer and Mon ruins found in this region are a beautiful contrast of traditional Thai style. The top tourist attractions in Southern Thailand revolve around idyllic islands sprinkled throughout the Gulf of Thailand and Andaman Sea. My favorite island in the Gulf of Thailand is certainly Koh Tao — one of the cheapest spots in the world to get your PADI certification and take these epic pictures. Seasoned divers will also marvel at its rich marine biodiversity. I personally booked my dive trips through Crystal Dive and Big Blue — and I highly recommend both of them. Not only do they offer outstanding service and experienced dive masters, but I also love how they pioneer several conservative initiatives throughout the island. These means you could also arrange a conservation internship or eco-diver certification through them. Skills you will learn include everything from coral implantation to thorough underwater cleanups. 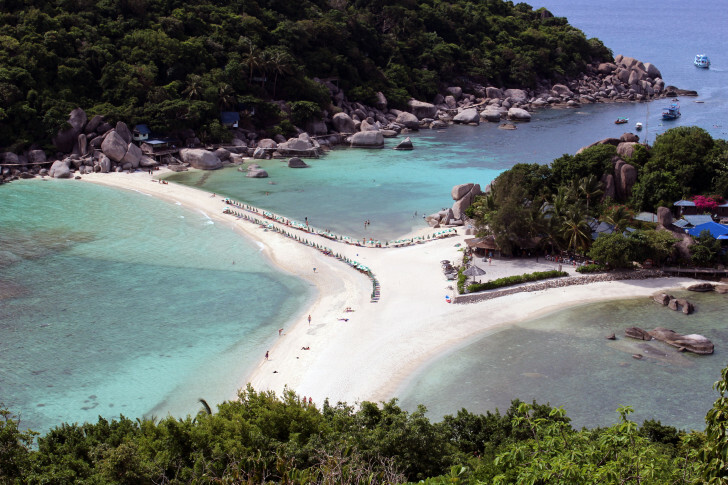 While diving is Koh Tao’s most popular attraction, laid-back beach bums and other adventurers will find plenty of activities to enjoy around the island. In terms of accommodation, I based myself out of Koh Tao Regal Resort (Mae Haad) and Big Blue (Sairee). The Regal is perfect for those seeking a bit of luxury for great value (shown on video above). On the other hand, Big Blue is best suited for budget-conscious travelers. Quite possibly THEE top tourist attraction in Thailand and the birthplace of the world-infamous Jungle and Full Moon Parties is, unfortunately, only known for its wild nightlife. 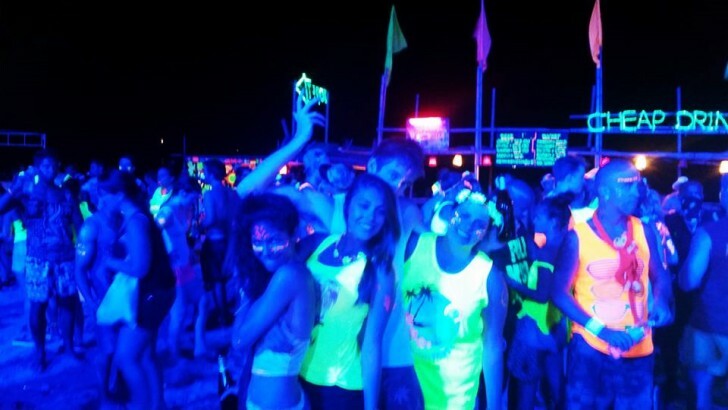 This epic all night party is one of the top things to do in Thailand and not to be missed! 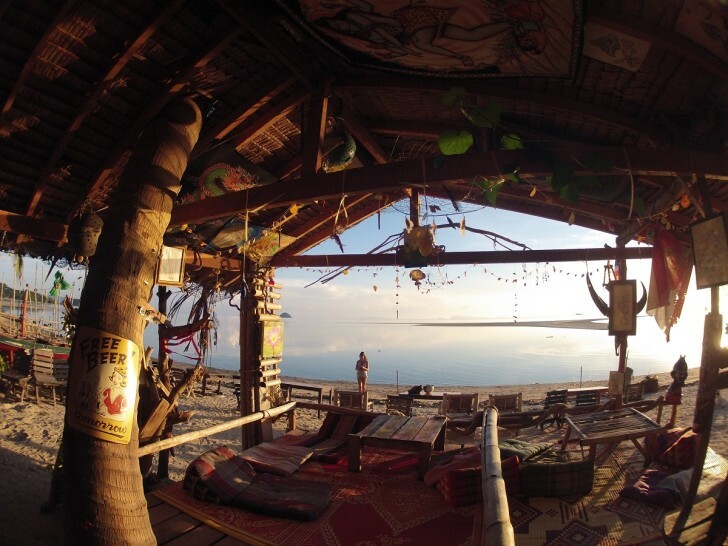 Yet, Koh Tao’s next-door neighbor is way more than loud beach parties and rowdy backpackers. Case in point? The virgin east coast is quiet, sprinkled with low-key cabins and beachside yoga studios. 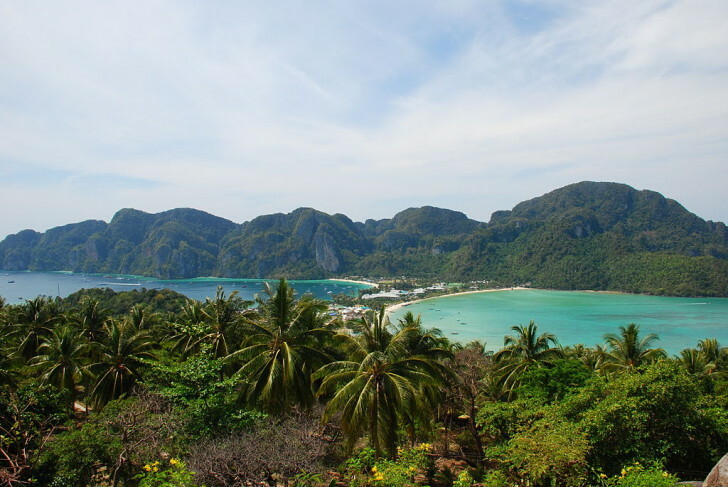 Several years later, Koh Phi Phi islands are not only some of the most expensive in Thailand, but also some of the rowdiest. 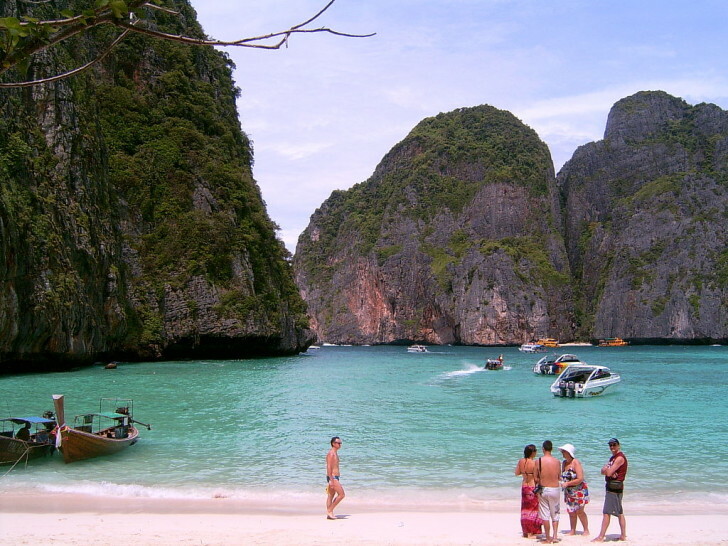 Some travelers even claim Koh Phi Phi has become wilder than Koh Phangan itself! I still believe this Thai paradise is worth exploring, though. What an incredible list! I have done only a very few of these. 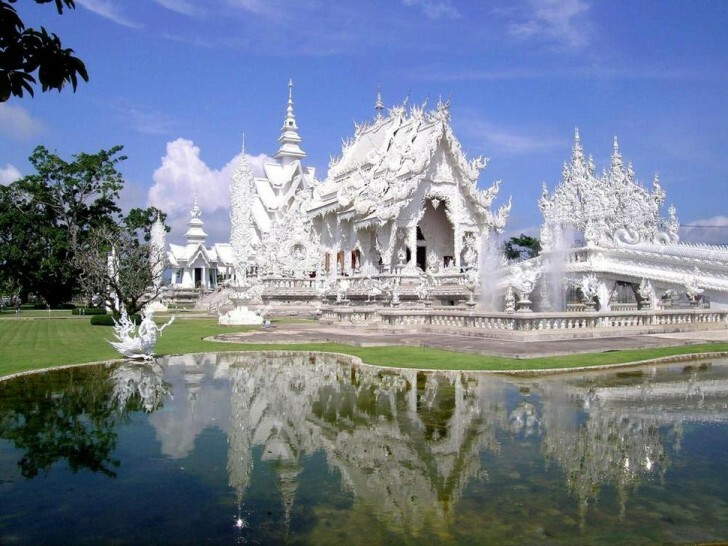 Chiang Mai, Chiang Rai all seems to be a treasure house of sights, I am yet to visit the north of Thailand. 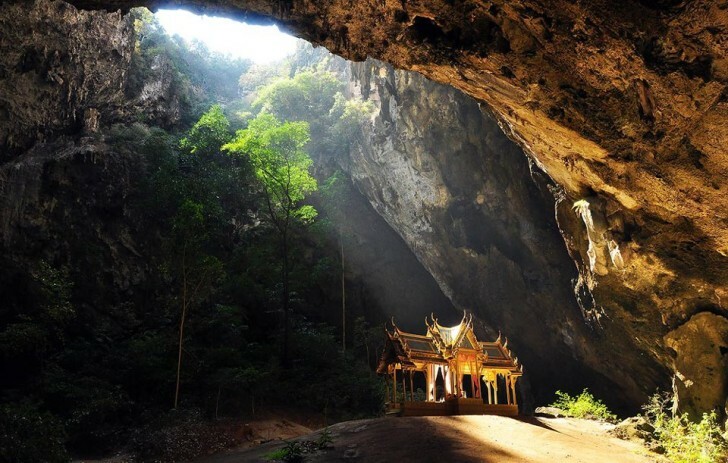 There is something in Thailand for everyone … it mystifies me how more people don’t know about this place in North America! Excellent article with an endless amount of things to see. 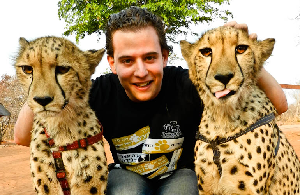 The Thailand is really a great place to visit and sooner or later I will be able to go there. Thank you for the elaborate detail about this country’s tourist sites this was valuable information for a first timer in Thailand. ← Next Post What countries do Americans Travel To The Most?